In the anime and manga, Orochimaru is a former ninja of the village of Konohagakure who is known for his abilities. However, creating his ninja village Otogakure as means to perform inhuman experimentation, Orochimaru sought a means to gain power and cheat death. In the latter, Orochimaru obtained a means for immortality by transferring between different host bodies which became one of his driving motivations throughout the series as he targets Sasuke Uchiha for his genetic heritage. While the main antagonist in Part I of the series, Orochimaru's role became overshadowed by the Akatsuki prior to the Fourth Ninja War arc. Orochimaru has appeared in media outside the Naruto anime and manga, including several video games. 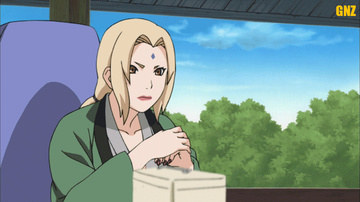 Several anime and manga publications have praised and criticized Orochimaru's character. As one of the series' premier villains, he has been praised in this regard; IGN compared his character to Darth Vader of Star Wars fame. His lack of redeeming qualities and open malevolence was also praised by reviewers, with Mania.com calling him the "first real villain" of the series. Among the Naruto reader base, Orochimaru has been popular, ranking within the top twenty characters in several polls.Numerous pieces of merchandise in Orochimaru's likeness have also been released, including action figures and plush dolls.